Mahogany velvet blouse with lurex stripes. Paired with a matching brocade lehenga with kali . Adorn in floral jaal work. 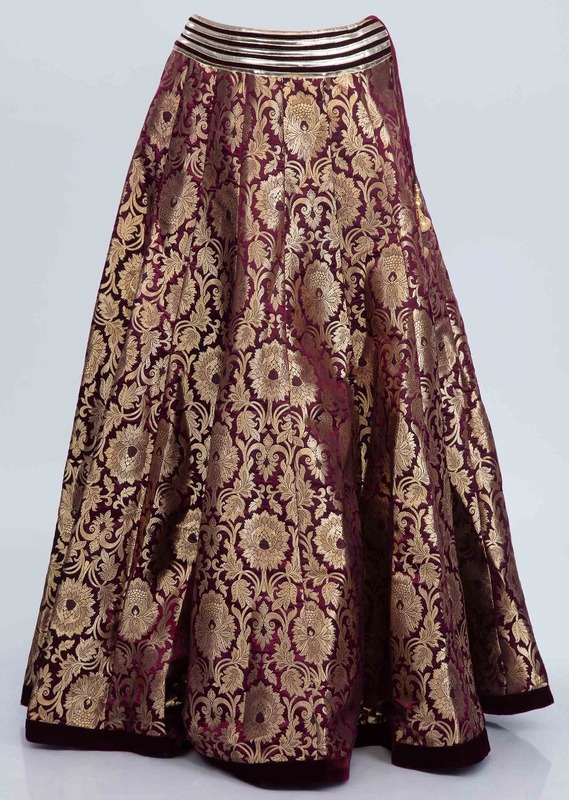 It has a velvet base waist line and hem. 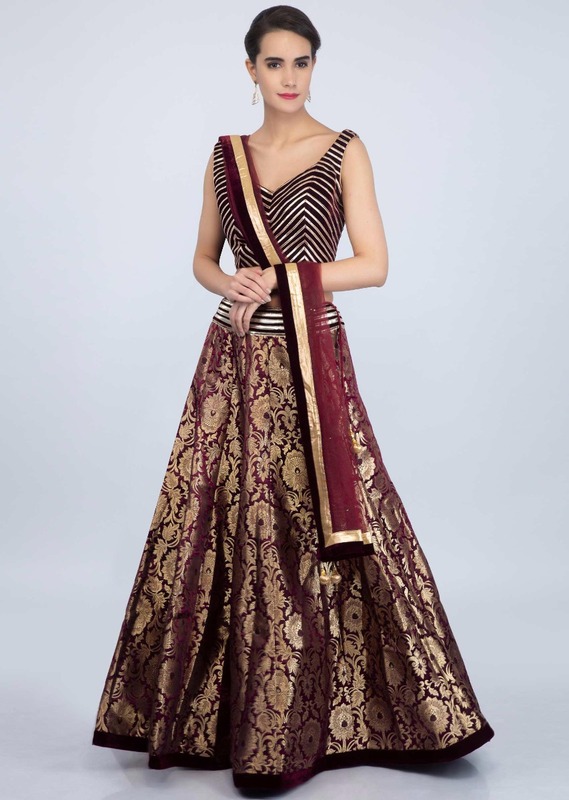 It comes with a matching net dupatta with scattered kundan and velvet border.